These 8x10 small barn plans come in pdf format at 11"x17" size for printing in true scale for submission to your local building inspection office but can be printed out in 8.5"x11" by using your printers print to fit option. Dimensions: 8' wide x 10' long x 12' tall. Walls: 2x4 spaced 16" on center with double top plate. Interior Wall Height: 7' 1.5" from floor sheathing to ceiling/loft joists. 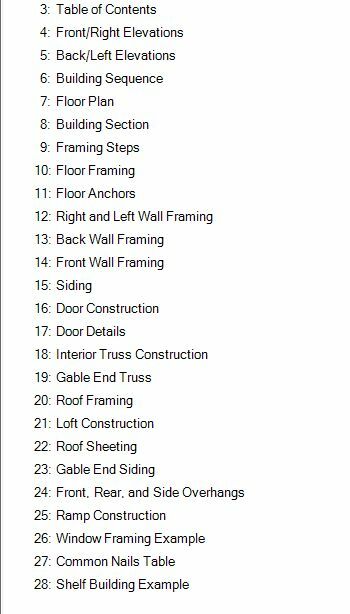 Siding: These plans show LP Smartside siding panels but you can use any siding you prefer such as T1-ll or if you want to use lap siding you would first sheet the walls with 7/16" osb then add the lap siding over the osb. 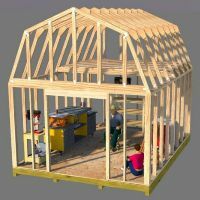 Roof: This roof is framed with 2x4 interior trusses spaced 2' on center and 2 gable end trusses that you pre-build from the plans. 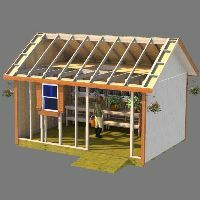 Roof sheating is 7/16" OSB or plywood. Overhang: 6" on the front and back with 6" side overhangs. 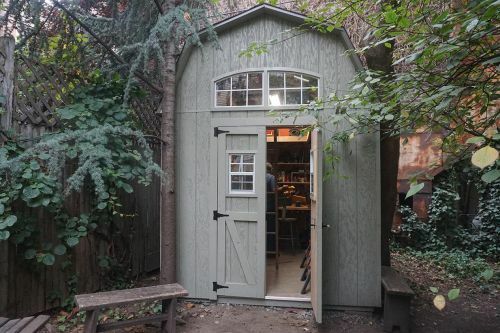 Roofing: This shed can be shingled with 3-tab or dimensional shingles. Trim: 1x4 cedar or you can use cement board trim or composite trim. 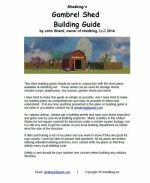 39 page Barn Shed Building Guide (free download). used my 8x10 small barn plans. 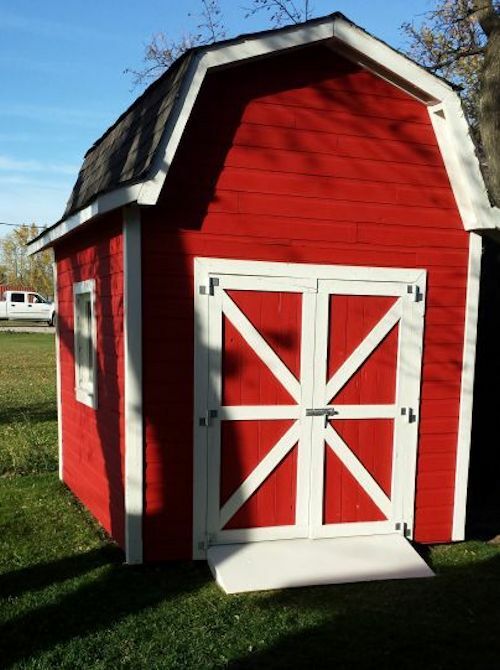 Another Shed Built From These 8x10 Small Barn Plans. 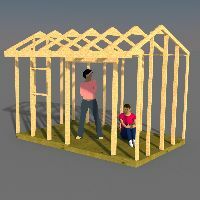 When you purchase these small barn plans from shedking.net, payment is through PayPal, and your instant download is through e-junkie.com, fast and secure. Please make sure your email provider will accept email from shedking.net and e-junkie.com. If you do not get the email to download the plans please check your spam or junk email folder. 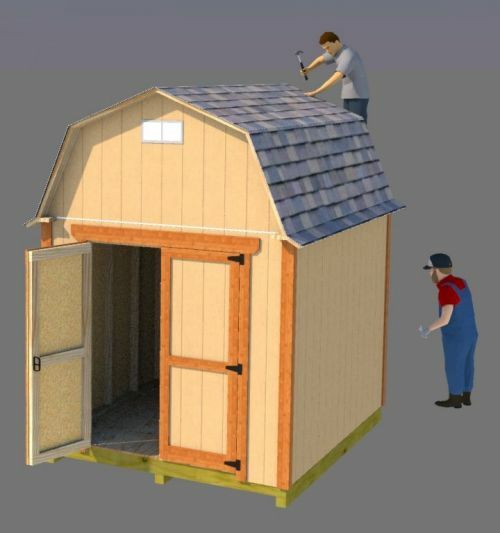 These 8'x10' Barn Shed Plans are just $6.95. You can buy these plans and get them immediately for download by using the Buy Now button below. A paypal window will pop up and guide you through the payment process. You do not need a paypal account to purchase these plans. If you should have any problems what so ever please contact me.